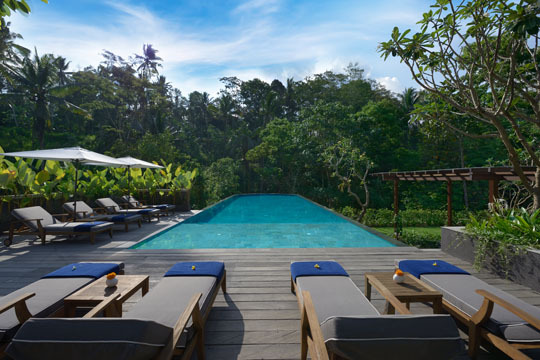 An intimate, almost reclusive, retreat set off the beaten track in Payangan, north of Ubud, Samsara Ubud is a beautiful boutique resort nestled on the slopes of a valley amidst the lush tropical rainforest. 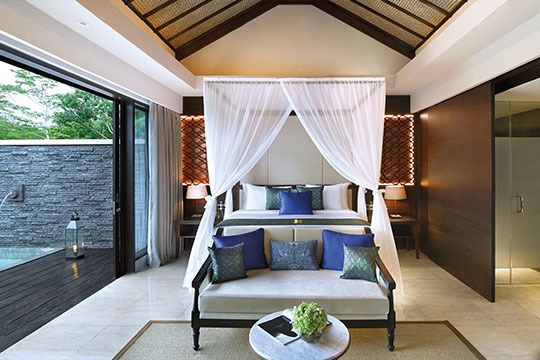 Offering highly personalised service and elegant designs throughout its public and private spaces, Samsara is a collection of just 17 stylish one, two and three-bedroom pool villas. 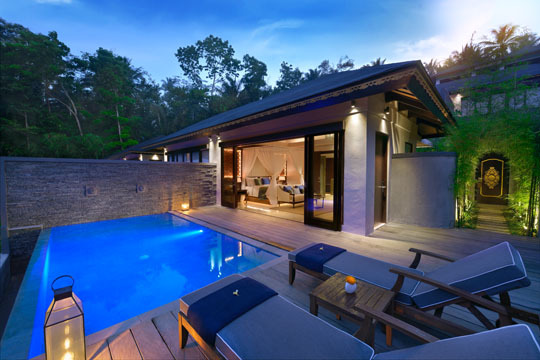 Casting itself as an idyllic destination for couples seeking a romantic escape, for lifestyle retreats and groups of friends, as well as those wishing to celebrate one of life’s major milestones, such as weddings and birthdays, Samsara Ubud offers guests a taste of majestic laid-back luxury. The airy and spacious villas are positioned and designed to make the most of the location. The outdoor decking, sun beds and heated pools make private relaxation easy, be it while watching the sunrise or basking in the warmth of the tropical sun. Inside, a sound system, cable TV, four-poster bed, sofa and indulgent bathroom offer guests a comfortable, stylish personal hideaway. 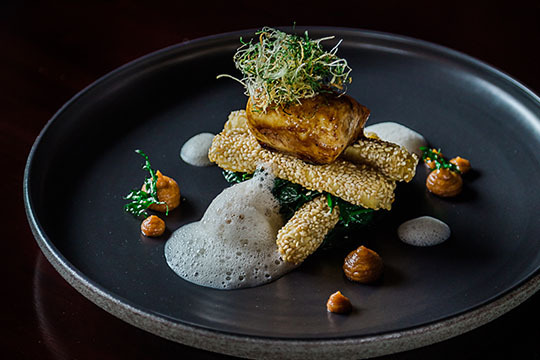 Dining is at The Kelusa, a spacious restaurant with sweeping views across the rainforest serving food prepared using the freshest local ingredients. International cuisine with a local twist is the speciality, while the drinks menu also brings a local twist to both its cocktails and non-alcoholic drinks. A heated main pool, spa and fitness centre offer further facilities, meaning that everything you need is right to hand. 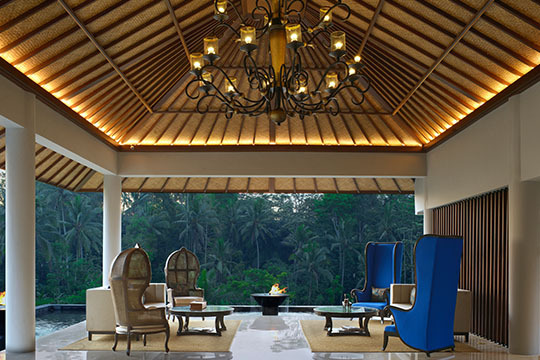 If you choose to explore the local area, the resort offers a shuttle into Ubud and will aid you in planning excursions.